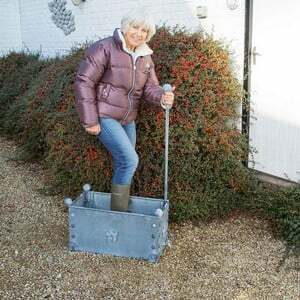 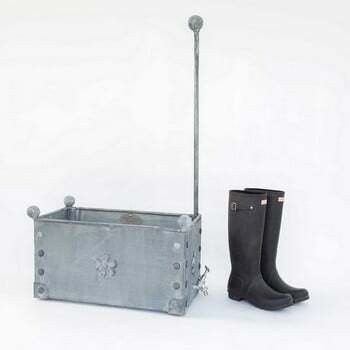 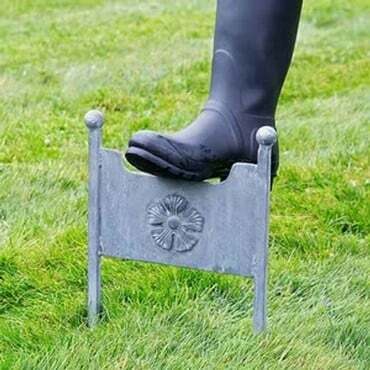 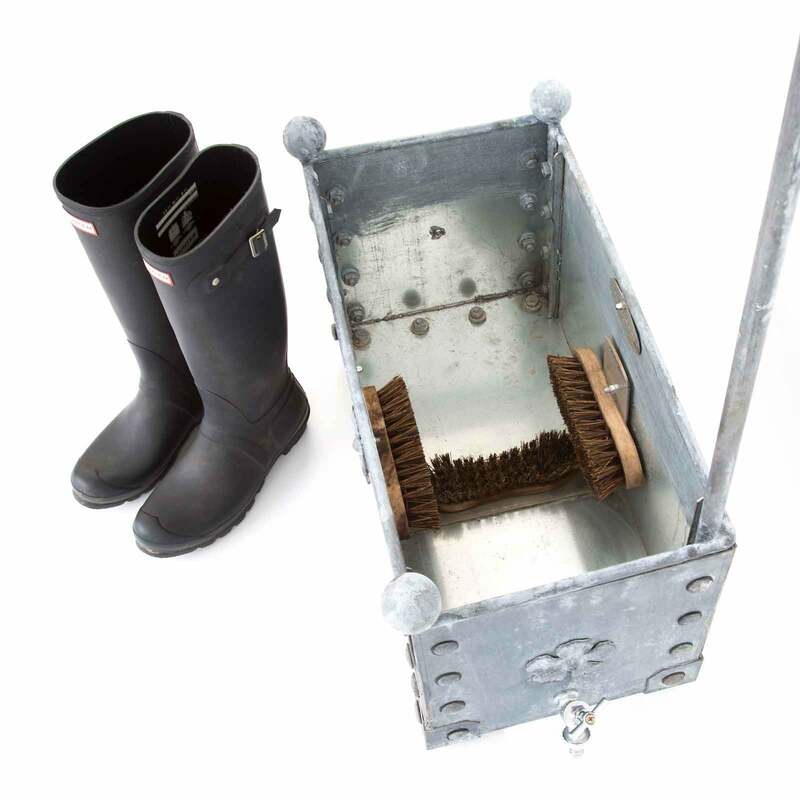 A magnificent Galvanised Steel Boot Wash with 2 sidebrushes and one base brush to get even stubborn mud off your boots. Tank will hold 50 litres of water when full or approx 30 litres when filled to just above brush height. 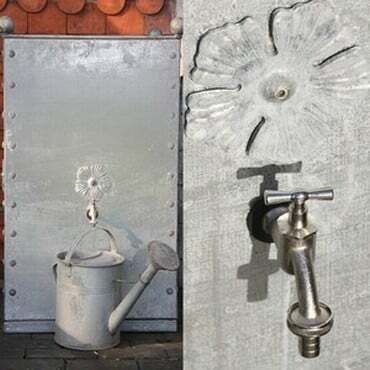 Made in England by artisan metal craftsmen from heavy gauge galvanised steel, hot dip galvanised for a longer life and decorated in a traditional Georgian style complete with Tudor roses and decorative balls. 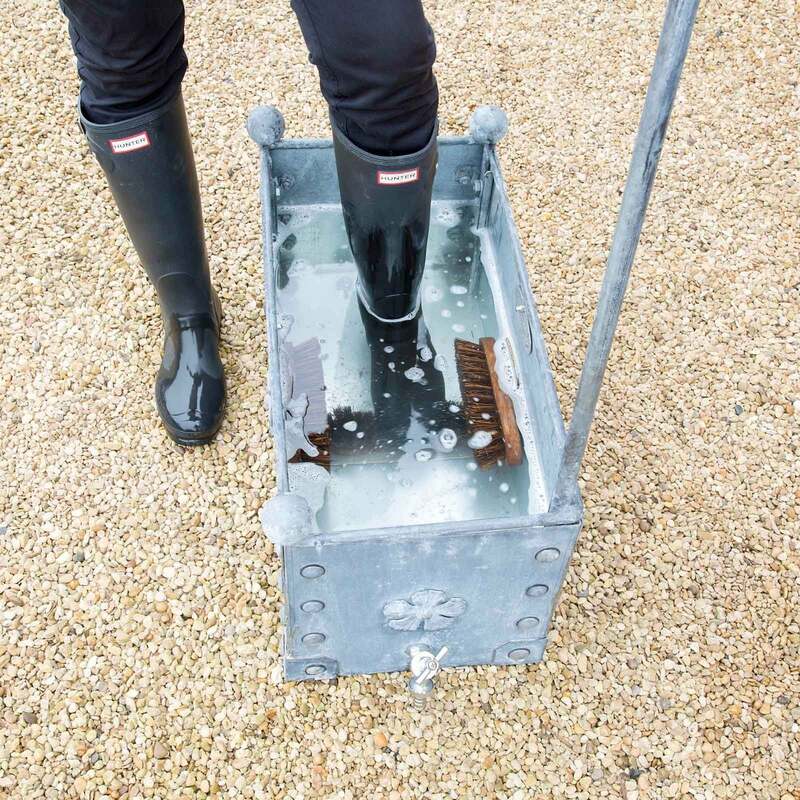 The Boot Wash includes a sturdy steel handle for stability when scrubbing the boots and a tap for draining the water off after use.